if the squad was so strong, the backup players would be trusted to pull their weight more in cup games and against weaker league teams. Going by the latest team news. We have a whopping TWO players out injured. thfc At the training ground for Pochettino's press conference. Lucas Moura, Moussa Sissoko and Victor Wanyama are all back in training. Doesn't necessarily mean they're all ready to play tomorrow, but Kane, Alli and Son are the only definite absentees for now. Poch on team news: "Sissoko and Lucas are back in contention for tomorrow and Wanyama hopefully back for the weekend." I think it's probably something that might require us to play with all personnel fit. Remember we smashed Liverpool 4-1 at Wembley last season with a back three of Alderweireld, Sanchez and Vertonghen. I don't think it hinders our attack at all to be honest. It pushes our wing backs forward so they're practically playing midfield and we still have Dele, Eriksen, Son and Kane all on the pitch at the same time. I do think Foyth is better than Sanchez though and would love to see a back three involving him and Toby and Jan. 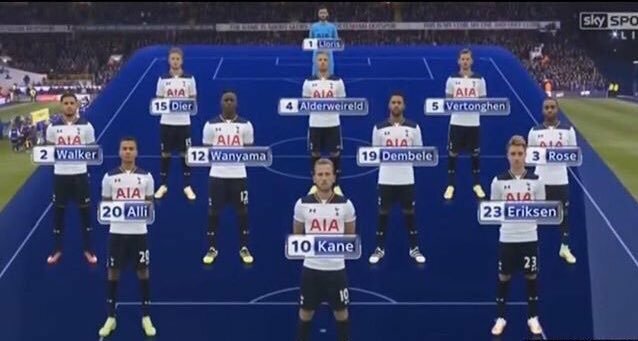 I have yet to see a better Spurs team or Spurs performance than the one this team put on. It’s marginal in my view between 4231 and 3 at the back but I think against the best teams we lacked something when playing the 3 but that could be players more than system. I think by now it’s pretty clear that selling Walker (especially to city) was a mistake since tripps is suspect defensively. although he is a better crosser, against the best teams he can get killed (thinking of the lessons he got from sane last season). While I like the positivity (hell, over Christmas I was earmaking January to look forward to because we'd get so many players back from injury, as is happening now!) you and I both know that the top 3 scorers of any team at the top of the table being absent is considered a crisis of sorts. Wanyana fit for weekend..... if anyone wants to buy him? Can’t wait for Wanyama to get a run of fitness under his belt. Really missed him, to the point of forgetting his brilliance. One thing I like is this club sticks by its injured players and doesn’t just sell them as “crocks that are finished”. Hopefully we see a rapid return to form, something like that of Sissokos rise to power. Dier, Wanyama, Sissoko, Winks and Skipp playing steady roles for the remainder of the season, and the desperation for a DM goes away somewhat. Both will be back for chelski away I'm guessing. Yep actually I think you're right. Would be great, especially if we have beaten Leicester and Burnley. Chelsea will be zapped after their league cup final so would be ideal in many respects. 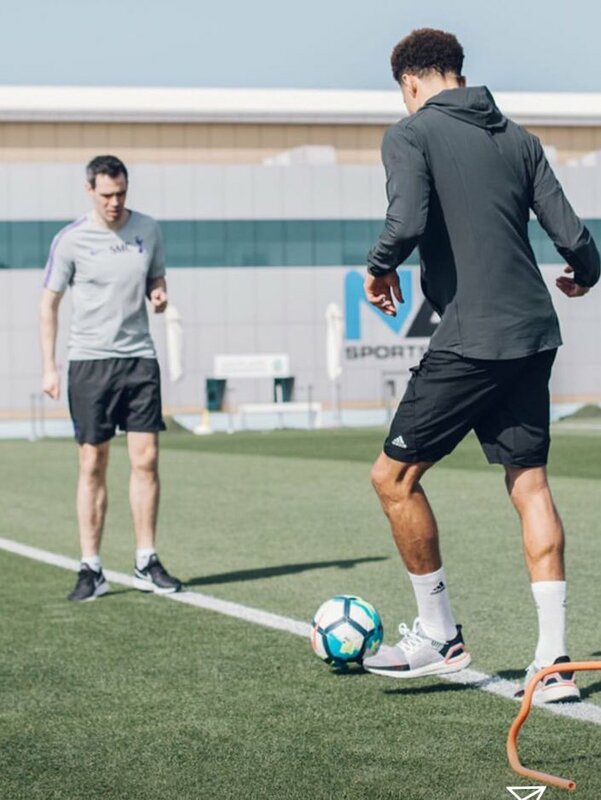 Obviously, the pic's aren't Spurs official but I think it's an example of our relationship that we have with Dele is a good one, as this shows that we are OK for him to train and be photo'd in his own sponsor's kit. 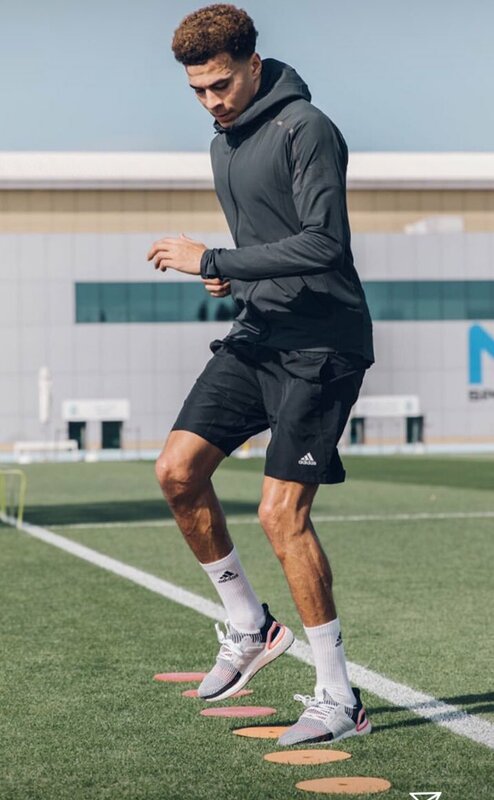 In other news, from the looks of his veins in his leggs, he's being worked very hard (also hasn't been on the Ben & Jerry's the past couple of weeks). Agree with your first point, but I think (may be wrong) that the pics originated off a facebook/instagramme/other social media page, so very unofficial and it may be Dele flouting club's requirements re sponsors kit ('sorry gov my official Spurs kit was in the wash so had to wear something else') , or it maybe that the sponsor cannot compel individual players not to wear clothes sponsored by others when not on the clubs premises etc. Anyway the exercises he's doing I suspect can only be done when his hamstring has mended (otherwise it would go again ? ), which is why I'm guessing Burnley in 2 weeks is possible - Leicester and Dortmund seem to close for these to be possible to me, but who knows ? His injury, if the same one and I think it is, has been with him since the World Cup. I don't think it's a tear in the hamstring which basically needs time to heal. It's been recurring a few times (even during the World Cup). This is something different, not sure what it could be as my knowledge is extremely basic unless it's one of a long list that I've suffered (I can bore everyone to tears on backs, knee & ankle ligament damage) but suspect it's could be nerve/back related that manifest as issues in the hammy. If correct then surely its just a case of rest (when it flairs up) and 'managing ' the player so as to give the odd rest for a game (or whatever) rather than playing every game ? Nah, these can be really complex to isolate the root cause. Nerves can be trapped/or touch between vertebrae or around pelvis and hip, all can trigger a hammy spasm. The rest works well on the hamstring but does nothing if the nerve is causing it, hence it reoccurring. I suspect that up until now his been working on opening up (manipulation) where they think the issue is.